FSM D.C. Embassy (June 26, 2014): Last week the Federated States of Micronesia Secretary of Foreign Affairs Lorin S. Robert and the Director of the FSM National Oceanic Resources Management Authority (NORMA), Mr. Patrick McKenzie, participated in two key events in Washington, DC related to oceans and the Pacific community, along with FSM Ambassador to the United States, Mr. Asterio Takesy, and a number of ministers from around the world. 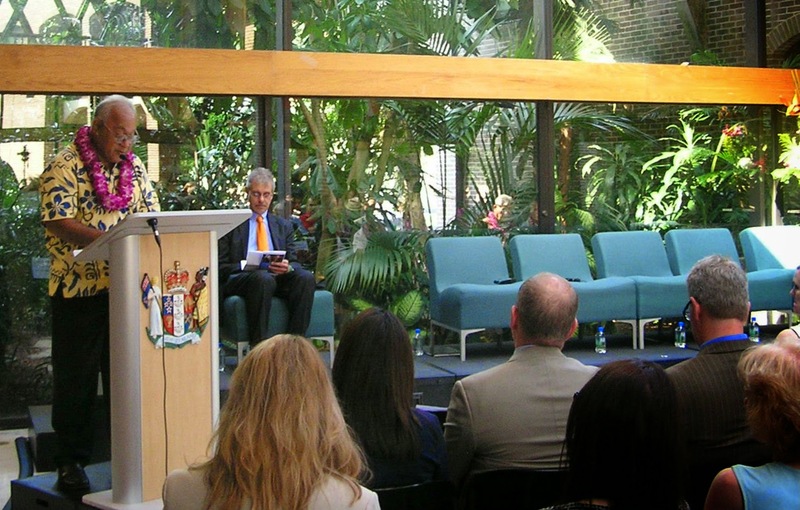 The first was the international conference “Our Ocean” that was convened by U.S. Secretary of State John Kerry at the beginning of the week, and the second was the Pacific Day celebration hosted by the Embassy of New Zealand on Wednesday evening. Pacific Day is an annual tradition of the diplomatic community in Washington, DC, featuring food and dance of Pacific countries and discussions pertaining to key issues. Because of the timing of Secretary Kerry’s meeting, many Pacific leaders also attended Pacific Day this year, including Secretary Robert, Palauan President Tommy Remengesau, RMI Minister of Foreign Affairs Tony DeBrum, and FFA Director-General James Movick, all of whom delivered remarks during the Seminar associated with the event. 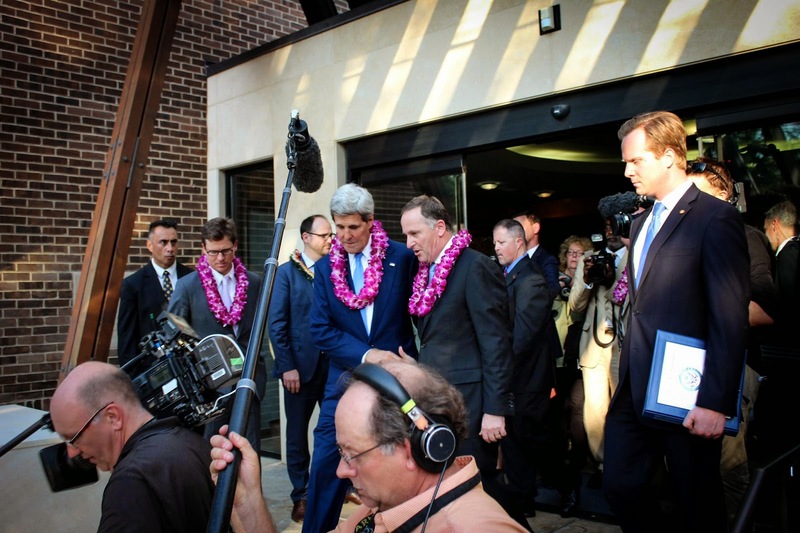 Secretary Kerry and New Zealand Prime Minister John Key also addressed the gathering later. Secretary Robert’s remarks focused on the importance of oceans and fisheries resources and the impacts of climate change on islands. He said he was encouraged by the ongoing global discussion on oceans, which exemplifies the spirit of collaboration and partnership at the heart of the Pacific Way. He highlighted the importance of ocean resources and the tuna industry to many islands, but noted that these resources are being depleted and contaminated. With respect to climate change, Secretary Robert called it “a cruel twist of fate” that the Ocean is now the antagonist of small islands due to rising sea levels, eroding coastlines, and increasingly intense storm surges. Warming sea temperatures may also exacerbate overfishing and illegal harvesting of pelagic species by altering their normal migration patterns. In the face of these impacts, FSM has adopted a Climate Change Act and an integrated disaster risk reduction and climate change policy. It has also contributed some innovative proposals for climate change mitigation to international negotiations, including its proposed amendment to the Montreal Protocol to phase down production and consumption of hydrofluorocarbons (HFCs). If adopted, this strategy would complement reductions of CO2 emissions and would provide “fast-action mitigation”, because most HFCs are much more potent than CO2 but do not last in the atmosphere very long. Furthermore, it would slow climate warming and sea-level rise. Secretary Robert said that islands still pin high hopes on the UNFCCC to address the long-term problem of CO2 emissions, but he pointed out that impacts of climate change are already being experienced in islands. This is why FSM has proposed reducing HFCs and other short-lived climate pollutants. In addition, a victory on HFCs under the Montreal Protocol this year could build critical momentum for a successful outcome at the UNFCCC COP 21 in Paris next year, he concluded. More information about Pacific Night, including audio and video recordings is available at: http://csis.org/event/pacific-day-2014. many thanks a great deal with regard to discussing. we wanted something similar to which.